Professor Andrew Blakers, lead researcher, said high energy prices in Australia made renewable energy an attractive proposition. “The electricity sector is on track to deliver Australia’s entire Paris emissions reduction targets five years early, in 2025, without the need for any creative accounting,” said Blakers. ANU’s new research contrasts previous reports, which argued that Australia is not on track to meet its Paris commitments. The highest ranking of these was the 2018 Emissions Gap Report from the United Nations, which listed Australia as a country that will not meet its 2030 target. Dr Sven Teske, Research Director at the Institute for Sustainable Futures at the University of Technology Sydney, believed the ANU research was a “positive take” on renewable energy in Australia. Dr Teske called for better regulations around the connection of new utility-scale solar and wind farms to the grid in order to combat this issue. He also stated ANU’s research focused on the energy market and not the entire sector. “We also need to take into account our emissions and transport [and] if we want to electrify our transport system, we need to take into account that the electricity demand in Australia will roughly double,” he said. 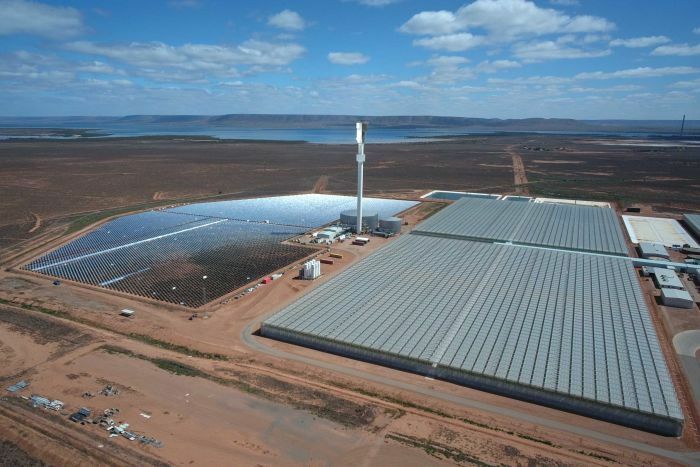 The region of South Australia is currently seeing multiple renewable energy projects underway, including 13 in Port Augusta, north of Adelaide. Despite having a reputation for running solar and wind projects, the State Government has become unlikely to approve projects that do not have backup storage attached to it. “South Australia is now over 50 per cent wind and solar and headed to 100 per cent or even 125 per cent wind over the next five or six year,” Professor Blakers said. Reaching over 100 per cent renewables means that South Australia could export some of its energy. Port Augusta has become the renewables capital of Australia, according to Port Augusta mayor Brett Benbow. “I think you’ll continue to see more and more projects pop up”, he said. Lying 300 kilometers north of Adelaide, the town was once famous for the coal-fired Northern Power Station, a 520MW plant, until its final demolition in November 2018. Mr Benbow now believes the town is leading the way in renewable energy.